Frisco officials have approved updated plans for a mixed-use development on the Dallas North Tollway. 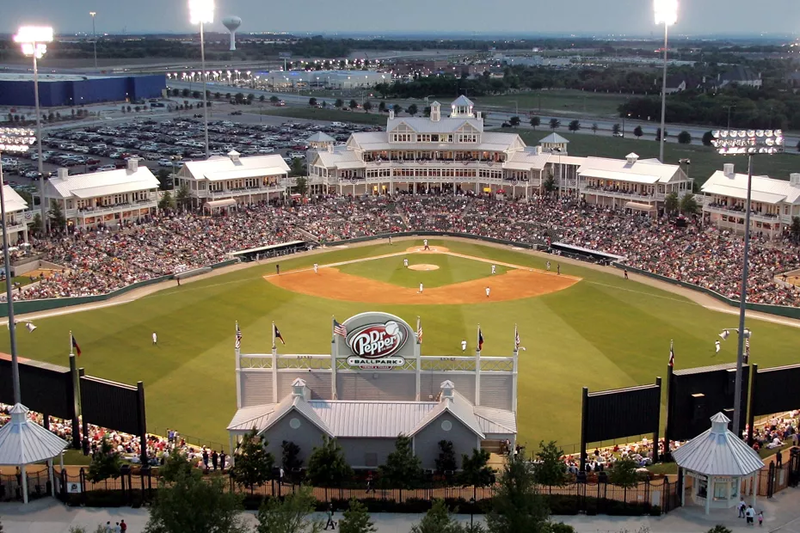 The 14-acre property is just south of Frisco’s Dr Pepper Ballpark on the east side of the tollway at Ikea Drive. It’s one of the largest undeveloped properties near the popular Stonebriar Center mall. Frisco’s planning and zoning commission has given the go ahead for the Roughrider Plaza project’s layout, which includes a 300-room hotel, three office buildings and four retail buildings surrounding a new public park. The 7-story hotel will front on the tollway and is a Sutton Place Hotel planned by the Canadian firm headed by Dallas Stars’ hockey team owner Tom Gaglardi. Gaglardi is buying the hotel site from the Frisco Community Development Corp, which owns the entire 14-acre development site. Planned office buildings in the project will range from four to eight floors, according to plans for the district. Several parking garages will replace surface parking lots on the property that now serve the adjoining stadium. “I really like the fact that this area is going to be developed,” Frisco plan commissioner Edward Kelly said. “I think this is a good design. Parking garages that serve the planned office buildings could be used at nights and weekends for the ballpark, city staff said. Designs for the mixed-use development include an entry archway at the new plaza and extensive landscaping. Frisco Community Development Corp. purchased the development site in 2013 for $6.5 million. The city agency has been working with developers on proposals to build on individual sites. Construction is expected to start this year on the Sutton Place Hotel. Gaglardi’s Sandman Hotel Group has already opened a Sandman Signature hotel on Parkwood Drive in Plano. Along with the Plano and Frisco hotel projects, Gaglardi is also working on Sandman and Sutton Place hotels on State Highway 114 in Las Colinas.